Available 9.00am to 5.00pm nationally across Australia, Monday to Friday excluding national public holidays. 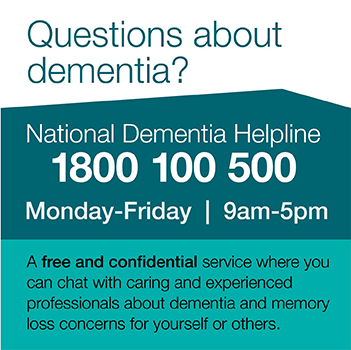 Email: qld.general@dementia.org.au or complete an online enquiry form. For more information about the Regional Dementia Support Centres, click here.